There was always a plan to remake the casing of this to make it not look shoddy, but there we go… I never did! My concentration was on the performance. 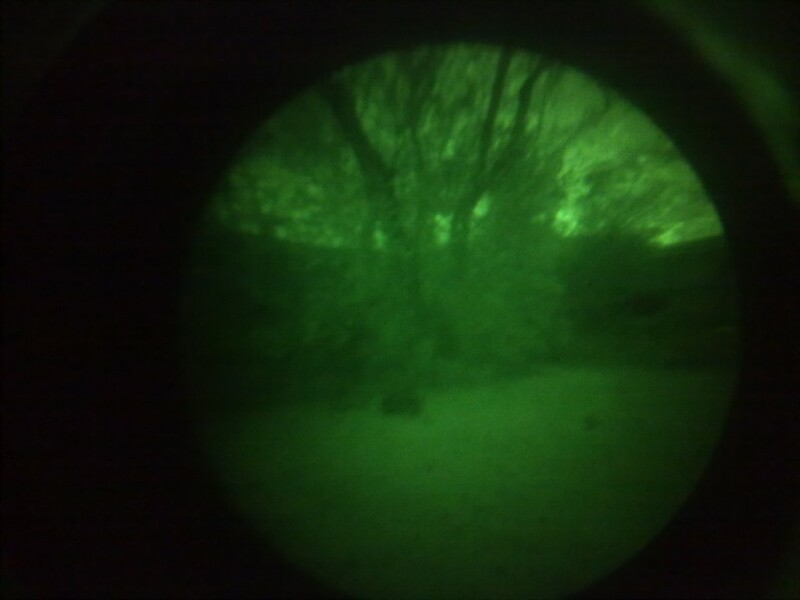 When I found a few high spec night vision components on eBay I couldn’t resist having a go. 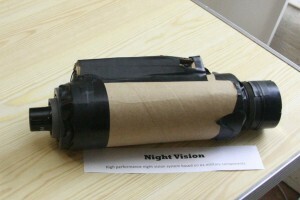 Inside is a 3 stage set of Gen 1+ image intensifier tubes. The f1 wide angle optics are from a different system, the lens includes a diaphragm that closes completely but can also be opened to a pinhole behind a dark ND filter allowing use in moderate daylight. The performance in the dark is something else… I’m still yet to find conditions outside dark enough to open the diaphragm without dazzling the NV. It cost ~£80 in components, and against a consumer night scope I bought second hand for about that, there is no comparison. 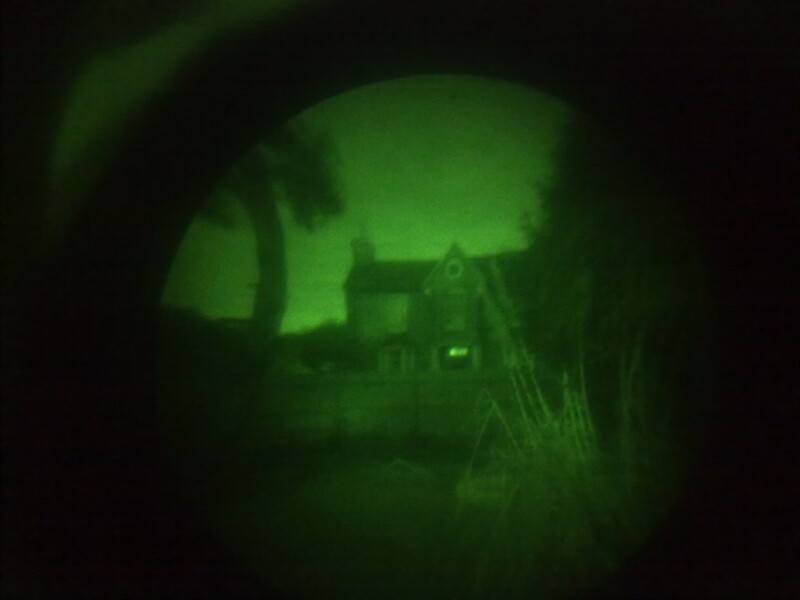 The consumer scope gives you the same vision as allowing your eyes to adjust for several minutes, where my home made scope allows you to read the writing on a barbeque you’d walk into without seeing. Here’s what the view is like. Slightly distorted but very sharp and as bright as you like. Hi! I’ve been following your weblog for quite some time now and finally got the bravery to go ahead and give you a word from a humble Tx! Just would like to to say keep up the fantastic posts!